Published on September 15, 2011 October 24, 2011 by cara.b.b. 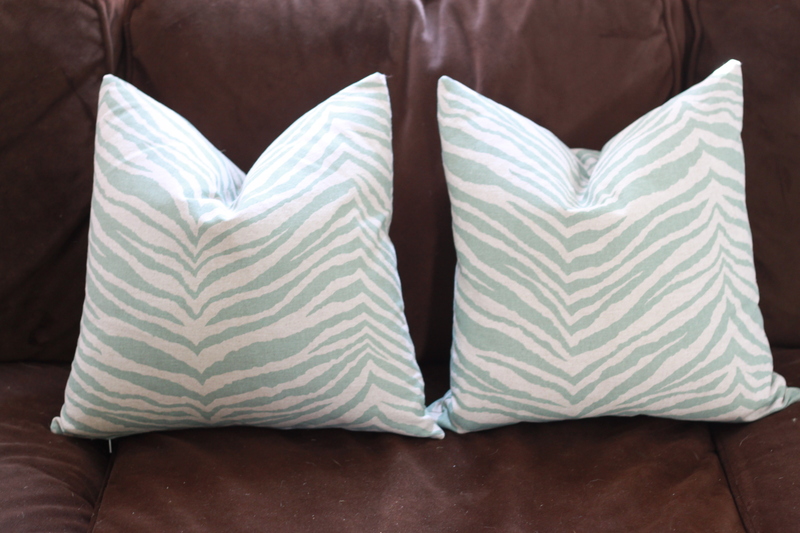 if you can sew a straight line, you can sew a pillow with a hidden zipper! pinky swear. 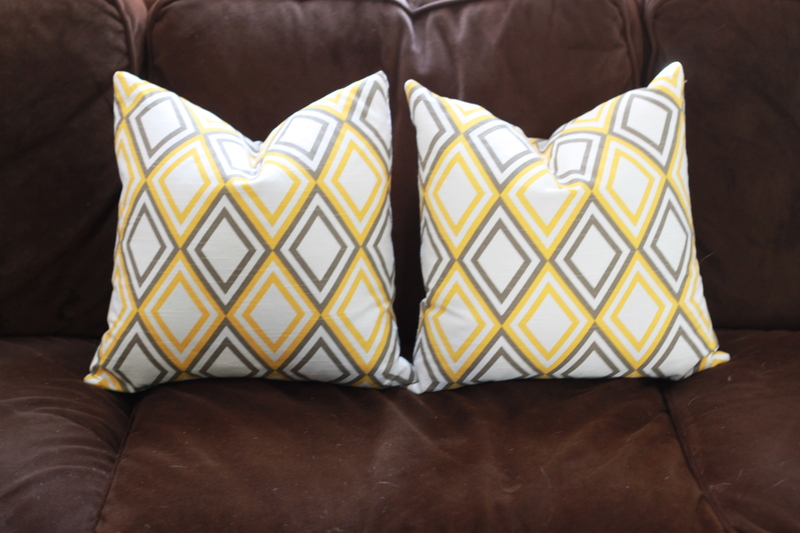 i followed this great tutorial and turned out two pillows during one of becket’s naps last week. they turned out great, and i’m wondering why it took me so long to do this. i followed them up with two more, and now our couches are finally ‘dressed’. – take the time to pre-wash your fabric if you want to be able to launder the pillows after they’re complete. i used lightweight upholstery fabric from premier prints and it weathered the wash and dry with flying colors. not all fabric will, so just proceed with caution there – you may want to wash and dry a small piece first to see how your fabric will hold up. – make sure you iron your fabric before you cut your squares and do the seams as you work and at the end – it’s worth the 5 extra minutes of work – and the tutorial will prompt you. – my last bit of advice is to buy good inserts that you can keep for a long time. i prefer down, and i picked mine up at nell hill’s. my 16×16 inserts were $16, but i’ll probably have these forever, and all i have to do is whip up a new pillowcase when i get bored with these. i’d say each pillowcase cost me about $5 between fabric and the zipper, which is a bargain in my book!